While I tweak and add features to Co-Optimus on an almost daily basis, it's rare that I promote them on the front page. Today I'm proud to announce a new feature for those of you that are fans of RSS feeds. Every game in our database now has it's own custom feed for news. Simply click the little subscribe button in the top right corner of the page and add the feed to your favorite RSS reader. Every time we post a new item about that game the feed will update. Don't want to follow a particular game? You can also follow any tag in our database as well. 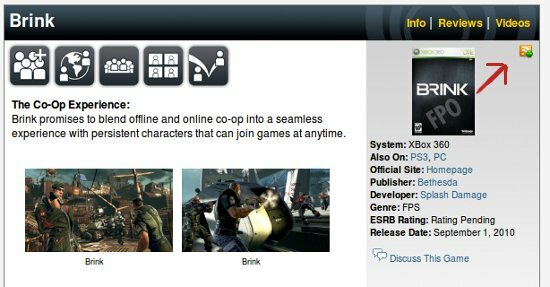 For instance if you wanted to be updated anytime we post news on an Xbox 360 co-op game - there's a feed for that. Want to know all about 4 player co-op games? There's a feed for that. Simply follow any of our tag links and the subscription button is in the top right corner. Be sure to let us know if you have any problems or requests with the feature, and be on the lookout for some great changes coming to the site in 2010! Page created in 0.6330 seconds.